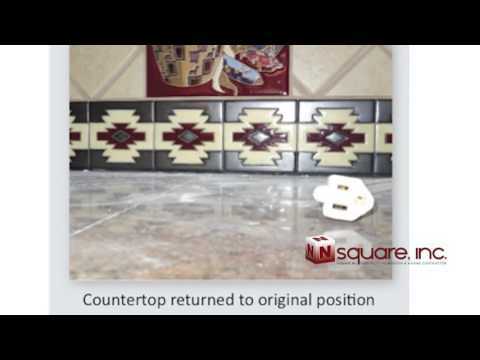 Our Video Gallery | NSquare, Inc. Checking out our video gallery is not only a great way to learn more about our company, but it provides you with an opportunity to learn more about foundation repair. 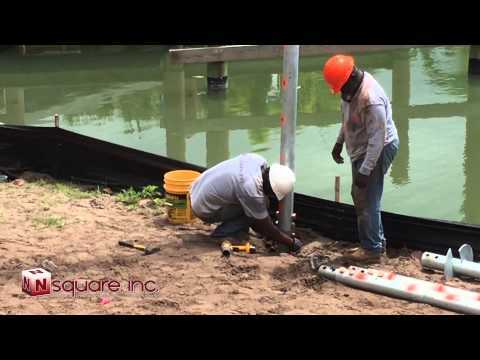 Helical Pier Installation in Naples, FL by NSquare, Inc. This video shows a series of time-lapse, GoPro clips showing several concrete lifting and leveling jobs performed by NSquare, Inc. throughout South Florida, using the revolutionary PolyLEVEL™ System. Injected under sinking slabs through a dime-size hole, PolyLEVEL structural-grade polymer foam lifts and levels the concrete, for a fraction of the cost of concrete replacement and virtually no down time. PolyLEVEL cures quick, and traffic over the treated area can resume only minutes after the application! Contact us to learn more or to schedule a FREE PolyLEVEL Estimate! Suzanne's house in Stuart, FL had many structural issues. Friends and neighbors repetitively recommended that she sell the house, but Suzanne wasn't ready to leave her treasured home. In an attempt to remedy the concerns, Suzanne reached out to NSquare. She initially intended to fix specific problem areas, but was so pleased with the results that she entrusted the remaining foundation repairs to NSquare. 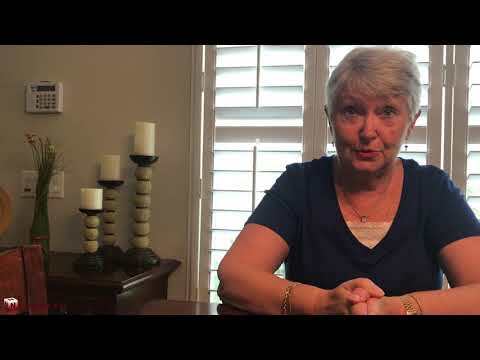 In this video, Suzanne describes her experience and the results of the completed work. "I was so impressed with each step, I kept adding more to my job. Now, they are finishing it up and I would recommend NSquare to anyone!" Soon after Clive T. bought his vintage Hollywood, FL home, he realized the concrete slab was sinking -- a problem that had been hidden by the home's existing carpet and padding. At the time, Clive looked into several options to fix the floors but all were very messy and disruptive. As a result, he decided to live with the problem and patch the gap between the walls and floor. As years passed and the floors progressively worsened, strain was added to the walls and cracks began to form. Clive realized he needed to find a permanent solution. While researching online, he came across our website and learned about the revolutionary PolyLevel™ Concrete Lifting and Leveling Service. Clive was encouraged by the thought of having his floors “lifted and leveled” with only a few dime-sized holes drilled into the concrete. In this video, Clive talks about his experience with NSquare and the results of the PolyLevel installation. "I am very happy that it was done with minimal disruption to my home," says Clive. 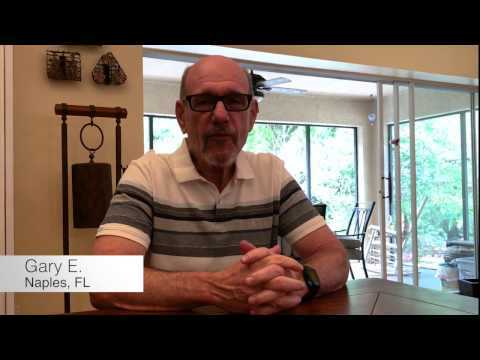 Elizabeth L. recently hired NSquare, Inc. to level the pool deck of her Cape Coral home. 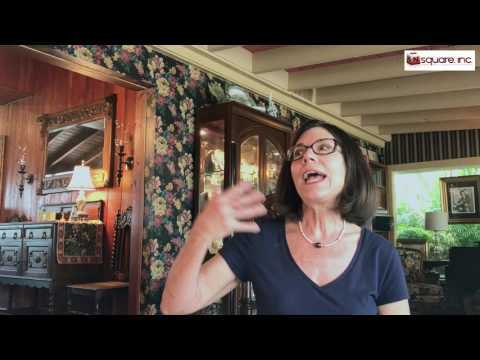 In this video she explains that she primarily chose NSquare, because of the PolyLevel System, offered exclusively by the company in FL. After doing some research, she concluded that it would be much more affordable and less disruptive to simply raise the slab with the PolyLevel system than replacing it entirely. In this video she speaks about the experience with the company before, during and after project completion. "I'd definitely recommend you guys. You were on time, courteous, did the job great and all the questions I had were answered", says Elizabeth. The driveway at Gary and Annette E.'s home in Naples, FL was cracked and unleveled with pieces of the slab raised up to one and a half inches in some areas. 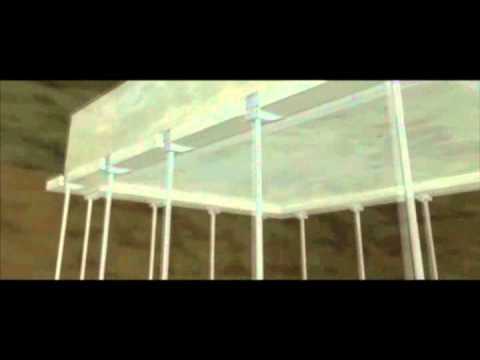 The couple called NSquare, Inc. to lift and level the slab with the revolutionary PolyLevel™ system. PolyLevel is a structural-grade polymer foam used as a smart alternative to conventional mudjacking. It's a fraction of the cost of concrete replacement and cures in minutes. In this video, they speak about the service provided by the company and the results. "I was really satisfied when I saw that everything was put back together and most important and satisfactory to me was the service," says Gary. 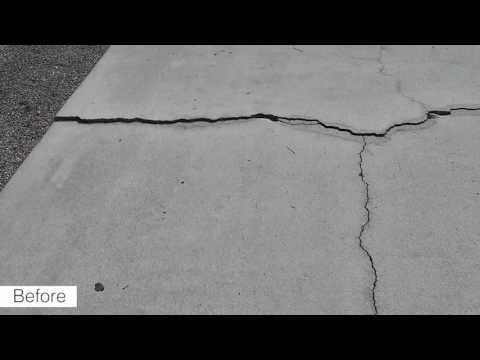 Annette E. from Naples, FL recently had her home's cracked, sinking driveway repaired by NSquare, Inc. using the PolyLevel™ system. 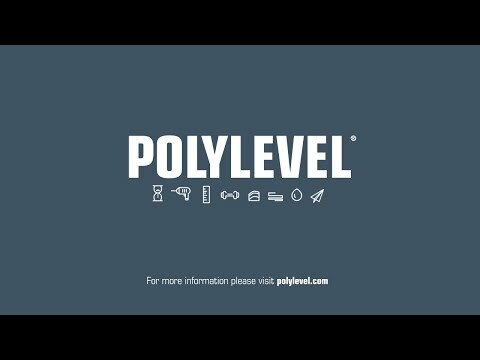 Watch as she describes the experience she had as a customer and the results after the PolyLevel application. "We didn't realize how bad it was, and the work that they did is just great!" says Annette. 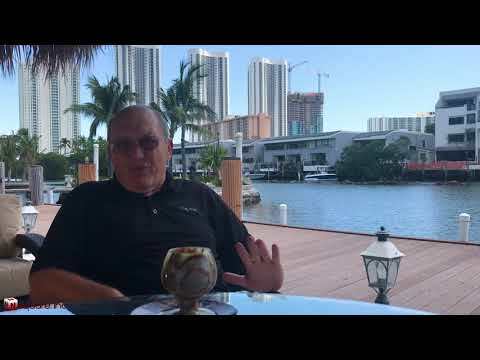 Scott Standriff, from N-Square, Inc., a foundation repair company in Florida, shows how to recognize common signs of foundation failure, and talks about permanent solutions to repair these structural damages. 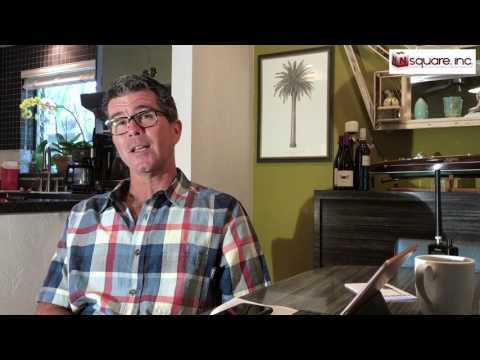 Scott Standriff from N-Square, Inc talks about common crawl space problems in Florida and the solutions provided by his company for chronic moisture and related structural damages. NSquare, Inc. has served commercial, residential, and government clients in the Southwestern Florida area for more than 20 years. There are a number of disturbing signs a homeowner may encounter that indicate a Naples, Weston, Wellington and Wellington area foundation settlement problem. Cracks on the exterior of your Florida home, cracks in drywall on interior walls, doors and windows sticking or not opening, and/or your chimney pulling away from your home are all issues that point to the same problem -- foundation settlement. NSquare, Inc.'s Push Pier System is the right answer. Soil erosion and settlement often cause concrete slabs in patios, sidewalks and driveways to sink into the ground. This type of settlement isn't just unsightly; it can also cause more damage and can be a safety hazard. Water tends to pool on sunken surfaces and unleveled floors cause a trip hazard. Until now, the only solution available to repair sinking slabs was mudjacking, a process that involves drilling holes in the slab to inject a mixture of cement and mud underneath, to raise it back to level. Foundation Supportworks, an industry leader in the development of foundation repair technologies and solutions, proudly introduces the most advanced alternative to mudjacking - the PolyLEVEL™ System. The PolyLEVEL™ System is a state-of-the-art approach to repairing sinking concrete slabs. It combines the concept of mudjacking with the most advanced technology. Instead of using a mix of mud and cement to raise the slab, PolyLEVEL™ utilizes high-density polyurethane specially engineered for this purpose. The advantages of using PolyLEVEL™ over conventional mudjacking are many. PolyLEVEL™ is lighter than mud-cement mixes (4lbs per cubic yard opposed to concrete's 120lbs). It will raise the slab without adding a lot of weight to it. The expanding nature of the material allows it to penetrate crevices in the soil, completely filling the cavity and safely raising the slab to the desired level. PolyLEVEL™ is also environmentally-friendly and made with recycled materials. It can be installed in just one day, through smaller, penny-sized holes drilled in the concrete and just 5 minutes after installation you can walk or drive over the slab! There is no need for extended periods of curing, as is the case with cement and mud compounds. This video shows the process of driving a HP450 helical pile material into the ground at a job site in Naples. The HP450 is a 4 1/2” diameter helical pile. It is being installed using a 20k drive head. The piles were installed to a depth of 70 feet. N. Square Inc. was recently featured in the Out and About South West Florida, as a trusted local foundation repair company.